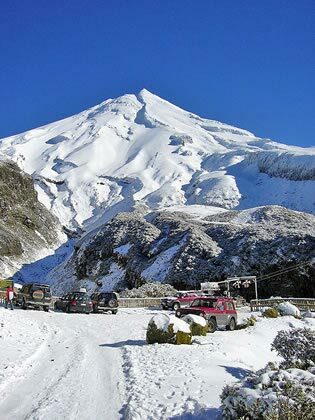 The Stratford Mountain Club operates the Manganui ski field on Mt Taranaki. Those using the field can drop their gear at the goods lift next to one of two car parks. They then walk up to the field, where their equipment will be waiting for them.